I have A LOT of items jam packed into my travel kit! We all need shampoo, conditioner, hand sanitizer, meds, toothbrush, toothpaste, and the list goes on right? And if you're a woman, add cologne, moisturizer, sunblock just to name a few. It's a major challenge to Pack Light! That's why I love multi-purpose products! We've come up with the Solevivor Kit in collaboration with Indigobaby- so you know it's absolutely safe- even for the little ones! It's a pack of 4 products that we've handpicked that can be used in many ways to keep you clean, fresh and healthy while on the road. Now I can go vagabonding bug-free with this baby! This light non-greasy milk lotion is DEET-free and safe for every traveler, big or small. 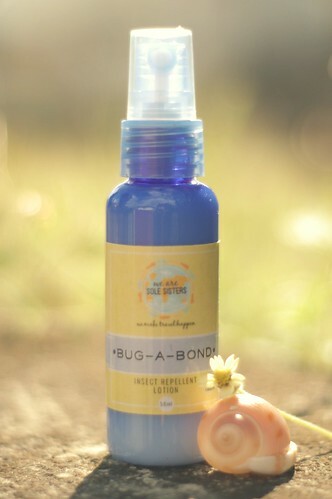 Bug-A-Bond also soothes the skin and calms the mind. I always bring a bottle when I'm on the beach or going on hikes. I spray this on during those long, torturous bus, train and plane rides. It refreshes me and prepares me for the next adventure! I also use it when I'm feeling under the weather. 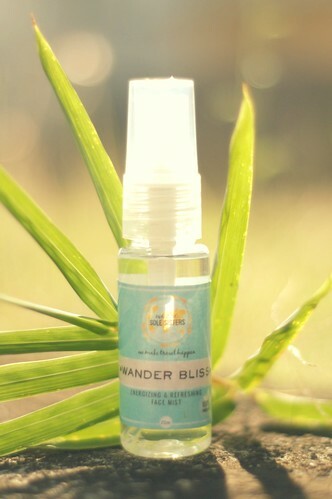 I use this multi-tasking wander spray as a hand sanitizer, room freshener, linen spray, yoga mat spray or a mild cologne. 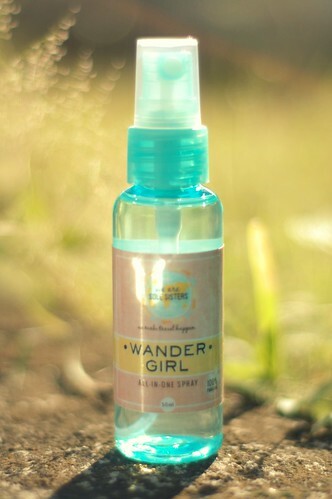 It's my perfect travel buddy to ward off germs and keep me smelling fresh all the way to my next destination! This minty superstar gel was my savior when I was in -14ºC in Korea in January! I used it as an all-natural rub to keep me from cough and flu. It's a fantastic, small sized warm me up when you're traveling in cold weather. 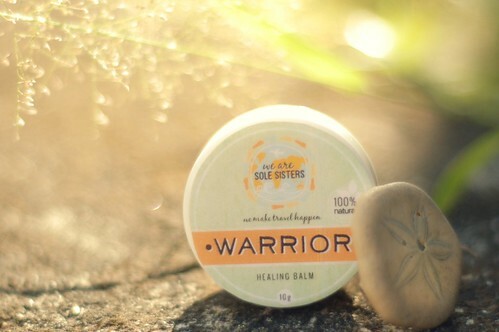 The Warrior Healing Balm is also great for colds, motion sickness, fever, burns, migraines and body aches. And for tropical weather? It can be used as a first aid for itchy insect bites. These products are not sold separately. Every kit comes in a mesh bag that fits all 4. The Solevivor Kit retails at 650PHP. To order, check out the Sole Sisters Shop or email solesisters(dot)weare(at)gmail(dot)com. We offer free shipping within Metro Manila and free set of hand wipes for all purchases! 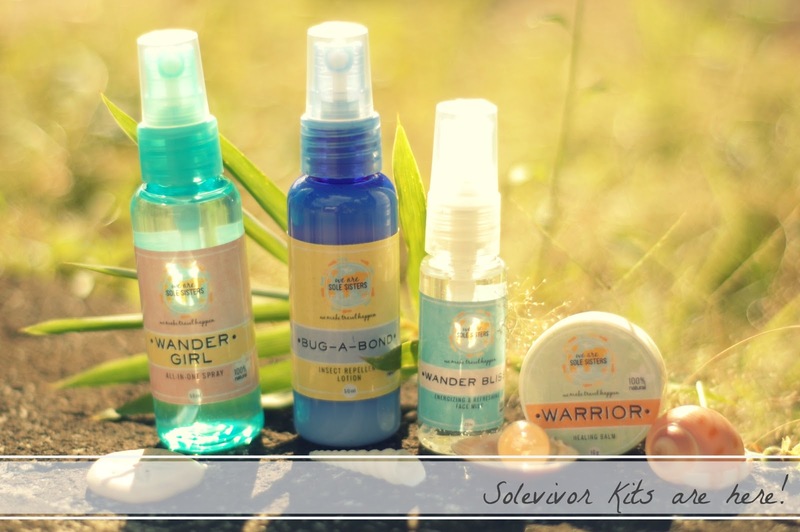 We are giving away 3 sets of the Solevivor Kit to 3 readers- all you need to do is comment on this blog post. The first 3 to comment will get a Solevivor Kit each! And if you're not fast enough, we're still giving away 150PHP off vouchers on the first 30 to comment (after top 3). Please make sure you use your facebook name in comments section. Winners will be announced through the We Are Sole Sisters facebook page. Contest is open from February 5-12, 2013. Would love to win one! I definitely need a Solevivor kit when I travel! I love to have the solevivor kit! I will use this in my incoming trip..
Yey! Excited to win this! Love these multi-purpose products! Especially the Wander Girl! Wish I had the Wander Bliss with me when we had/started our Eurotrip last April 2012! Hoping for more travels this 2013!